The fourth chapter of Mordenkainen’s Tome of Foes, releasing everywhere May 29, 2018 and in local gaming stores on May 18, 2018, explores the history and current lore of one of the most interesting races in the multiverse: The gith. 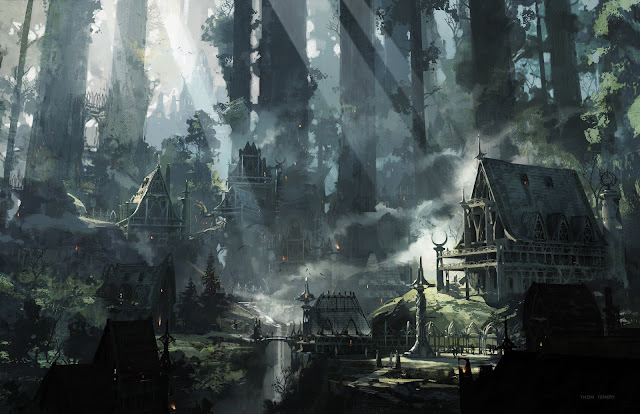 The chapter is titled "Gith and Their Endless War" and is sure to be an excellent source of material for any campaign that wishes to use the gith as foes, allies, actual player characters, or backdrops in an adventure. 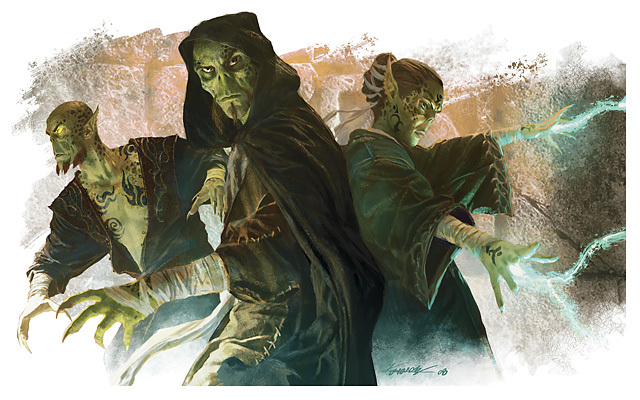 Today, in preparation for this fantastic book, we’ll be wading through the gith’s history in D&D, their lore, ways to use them, and an interesting NPC githzerai to use in your campaign! 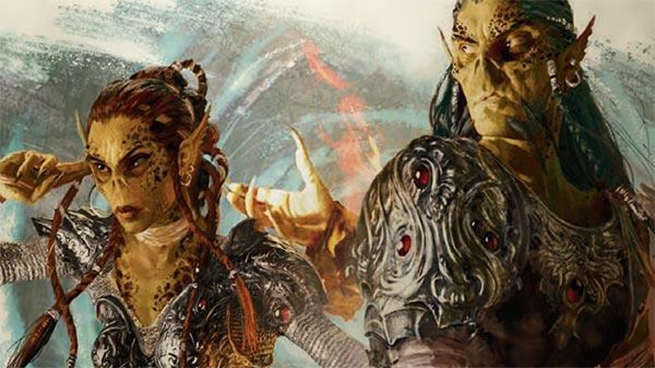 The gith are split into two races: The githyanki and githzerai. Both creatures have existed since D&D’s earliest incarnations. Both were first officially recognized as a D&D monster in first edition’s Fiend Folio. In the book, Charles Stross, a reputable British writer of all things fantasy, is listed as the gith’s creator. Other notable creations of Stross include death knights and slaad (more on those another day). Immediately, the gith began to evolve. Second edition gave players and dungeon masters the idea of the githzerai rrakkma band, a group of githzerai that hunt mind flayers, and the githzerai zerth, a party that kills githyanki. Both groups were integral parts of githzerai society, and represented their vitriol for their lifelong enemies. In second edition, the githyanki gained a terrible and immortal leader, Vlaakith the Lich-Queen. 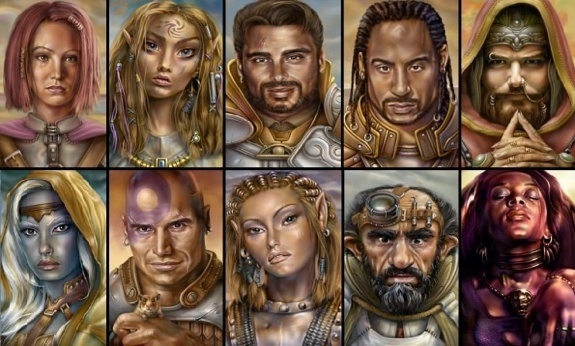 Third edition expanded on the psionic ability of both races of gith, and detailed their statistics as playable races. In 3.5, the githyanki featured heavily in the “Incursion” storyline which ran through Dragon Magazine #309 and Dungeon Magazine #100. 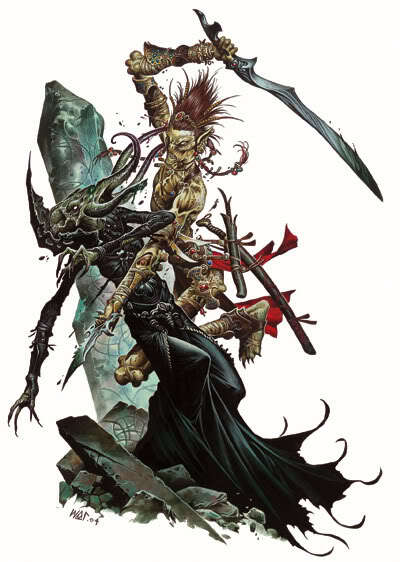 The story even introduced a few new types of githyanki: duthka’gith and kr’y’izoth. In addition, it included updated stats for Vlaakith. Fourth edition introduced many new varieties of githzerai, like the cenobite and mindmage. It also changed the race’s home from Limbo to the Elemental Chaos. 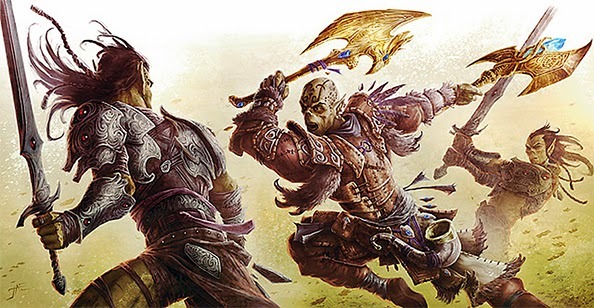 The githyanki only saw the addition of a few new monster types, such as the gish and mindslicer. For countless generations, the gith have warred with each other, as well as the mind flayers who so cruelly created them. The githyanki and the githzerai share a common beginning, but their paths diverged when they finally overthrew their mind flayer overlords. Let’s briefly soar over the lore of the gith. Eons ago, while the multiverse was young, the mind flayers controlled an immense empire that spanned many places, planes, and planets. The tentacled creatures continued to gain power, enslave races, and grow their empire. Their might was unrivaled, even demons and devils feared the threat that the illithids posed to their fiendish realms. Then, on some unknown world, the illithids encountered a race similar in power to their own. They were unable to crush it with their psionic powers. They were unable to defeat it. Therefore, they decided to create a new breed of creature infused with inhuman strength and their own psionic abilities. The base race? Humans. The mind flayers twisted and shaped these creatures to their liking. Their skin color changed, their limbs elongated, and their innate power increased many times over. After hundreds of years of war and controlled breeding, the illithids were able to defeat this powerful, unknown foe. Once the war was over, though, the morphed-humans grew tired of being enslaved. They rebelled under the leadership of someone named Gith. Few know of Gith’s origins. Some posit she was a well-respected bodyguard of an elite illithid, others say she was a child-soldier. All know she was incredibly powerful, charismatic, and magically-gifted, traits that were only enhanced by her hatred of her mindflayer overlords. The illithid empire was completely destroyed by this movement, often called the Thrall Uprising. The mind flayers, defeated, fled to the Underdarks of countless worlds. To this day, they have not recovered, but still seek revenge. Back to Gith: Once the war was won, Gith decided that her people, the githyanki (a word meaning “children of Gith”), would conquer all illithid lands and exterminate every single living illithid. Most of her advisors agreed with her plan, but one, a being named Zerthimon, claimed Gith would become a tyrant akin to the illithids. He called for Gith to hide herself away, to let their people rest. She refused. Thus began a civil war between the githyanki and the githzerai (a word meaning “those who spurn Gith”). The githzerai were unable to defeat Gith and her people, and so they retreated to the chaotic soup of Limbo. Gith, with her army severely hindered by the civil war, decided to save the remainder of the githyanki and fled to the Astral Plane. Soon after the stalemate began, Gith started to consort with a githyanki wizard named Vlaakith. The wizard advised Gith to search for allies for her crusade against the illithids and the githzerai. 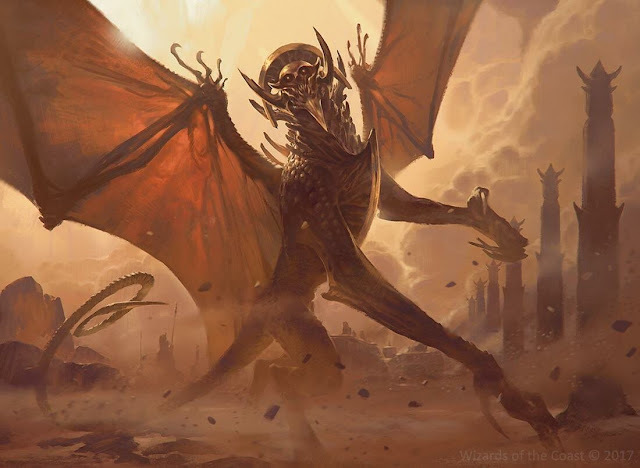 Over the course of many years, Gith negotiated with slaad and elementals, demons and devils, and eventually made a deal with Ephelomon, the red dragon consort of Tiamat. For a powerful hostage and the aid of the githyanki whenever Tiamat deemed it necessary, the githyanki would receive a flight of red dragons. Gith agreed, surrendering herself to Tiamat to ensure her people’s safety, and Tiamat gifted Vlaakith - the new ruler of the githyanki - a ancient scepter that represented the Dragon Queen’s acceptance of the bargain. Now, the githyanki are ruled by the descendents of Vlaakith, who carry the scepter of Tiamat. The githzerai, though, are scattered, living in pocket fortresses and monasteries across Limbo. Both await revenge for the past. Both races are rife with plot hooks and adventure ideas. Both are fantastic additions to any campaign. 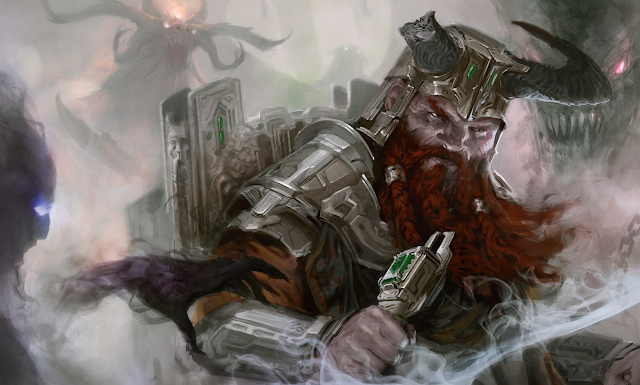 If you need an interesting planar villain, ally, or faction, look no further than the gith. If you’d like a character with roots that are in the Material Plane, look no further than the gith. 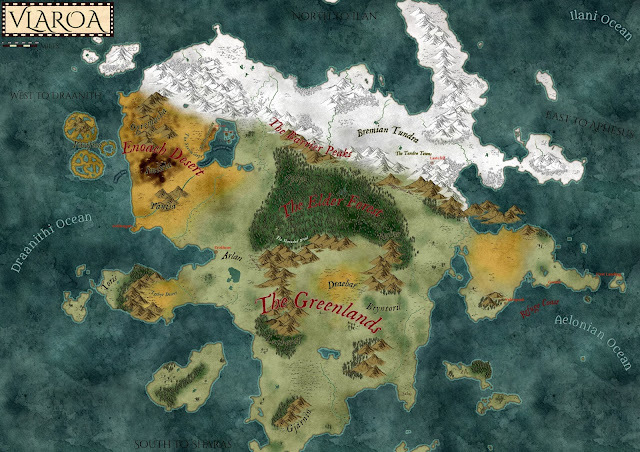 If you need a crazy, interplanar plot to enrapture your group, look no further than the gith. 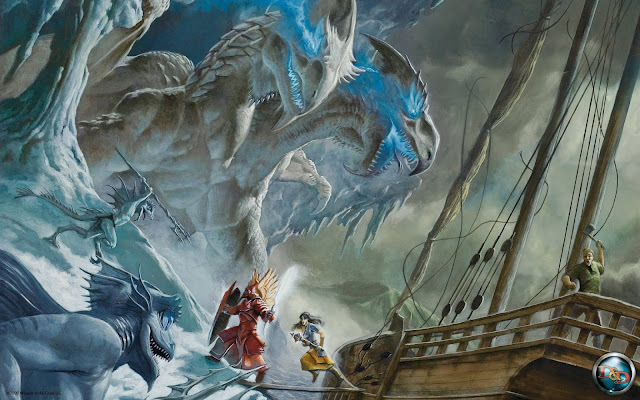 Listed below are some interesting ideas related to both the githyanki and githzerai, for dungeon masters and players alike. Granram, a githzerai battle master who uses his mind to control a menagerie of swords that float around his being. Granram is a perfect second-in-command to your villain. He seeks perfection in battle, more and more weapons to add to his arsenal, and the death of his traitorous sister. 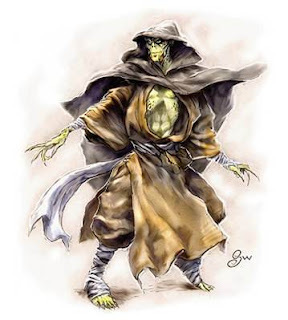 Farmuk, a githyanki wizard who professes the use of the mindflayer’s experimentation techniques to create a more powerful race of gith. Farmuk is a great patron who can quickly descend into villainy. Lazmina, a distant descendant of Gith who is on the run from her race. If she was to be found, they would use her body and blood as a propaganda tool and weapon of mass destruction. Lazmina is a fantastic ally. Her simple story provides a plethora of possible plot hooks. She would readily join any party willing to accept her for her own being, not the accomplishments of her ancestor. The group loots a silver blade from a foe they vanquish. Days later, they are hunted by a party of githyanki sent to retrieve the sword. It’s one of their infamous silver swords, able to sever a mortal’s connection to the Astral Plane. The gith group must get the weapon, or suffer fatal consequences at the hands of their brutal warlord. 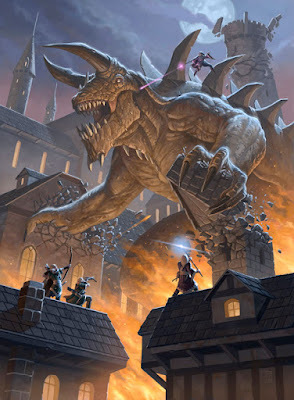 A githzerai monk approaches the party with an offer: They help him eliminate a nearby mindflayer outpost, and he’ll give them access to his people’s timeless city on Limbo. Determined to follow in Gith’s footsteps, an army of githyanki tear open a portal to the Material Plane and prepare to release trained astral dreadknoughts into the world. You threw off the warlike tendencies of the githyanki, your race, and traveled to the Material Plane. You are determined to discover a way to forge a peace between both kinds of gith and illithids. The endless war must end. You are a githzerai who’s meditated for hundreds of years in your timeless city’s monastery, becoming one with the fabric of the multiverse. You have witnessed countless futures, pasts, and presents. You fear one of the most chilling is coming to pass at this very moment, and you must put a stop to it. You are an illithid stripped of all power by your githyanki captors. They drained you of your psionic capabilities and wiped your memory of other mind flayers. Luckily, a group of benign adventurers killed your captors and spared your life, believing your story. Now, you strive to learn new abilities and powers with a new view of life after years of imprisonment. If I don’t plan on using a race in abundance, I like to create a character that communicates that race’s appearance, culture, and current plights into a single being. Right now, we’ll do that for the githzerai. Let’s create Sanzerai, a githzerai mystic that personifies his entire race. With those traits in mind, we can create Sanzerai the Mystic. Sanzerai is a shorter-than-normal githzerai who lives in solitude on a floating boulder in Limbo. Amidst the plane’s chaos and infinite paradoxes, he trains for a day he fervently believes will come: The day the githyanki and illithid unite to destroy all githzerai. He has dreamt about this day many times, it even caused him to leave the nearby githzerai fortress, which he once lead. Sanzerai trains ceaselessly, alone, to perfect his mind magic, and despises being interrupted by others. At the moment, Sanzerai is able to cause a normal humanoid body to implode on sight; he won’t hesitate to do so to hostile trespassers. He prays daily, not to any god, but to the multiverse as a whole, which he believes lives inside each and every entity to ever exist. He has few emotional connections. His sister, Zertha, is one of them. The other is a pristine platinum sphere that, unbeknownst to Sanzerai, is causing these insane visions. The object was planted on him by an illithid spy who wished to cause his mental state to deteriorate and leave his fortress vulnerable to attack. The illithids never expected the ploy to work as well as it did. 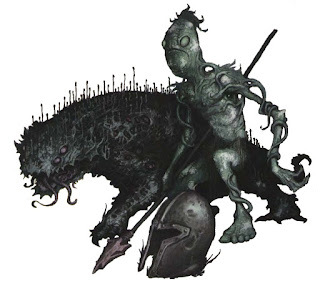 The gith have evolved across the five editions of D&D. Gith history is long and terrible, rife with strife, disaster, and sorrow. Gith can be fantastic villains, allies, and player characters. 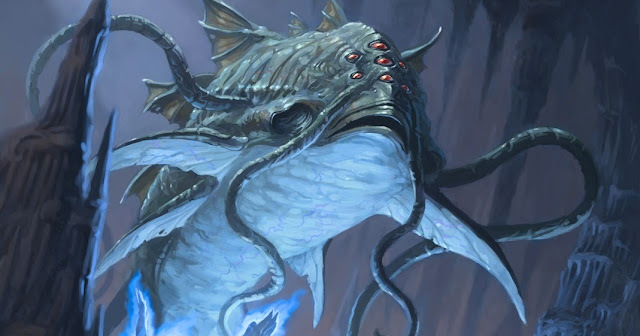 They can also be great arbiters of planar campaigns. Sometimes, a single NPC can personify an entire race. If you don’t plan on making gith a fundamental pillar of your campaign, create an NPC that represents them as a whole. We’re almost finished with this series! Next week, we’ll be going over the shortest and, arguably, strangest folk in the D&D multiverse: Gnomes and halflings. Nice find! That's an awesome 1E description. I should have mentioned, that's from the Fiend Folio. Sweet! I have that volume, actually. Passed down to me from my father.